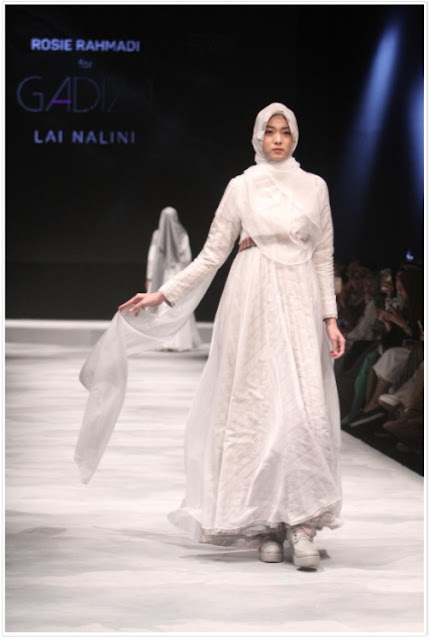 model gamis kain wafel ini sangat cocok untuk sahabat yang aktif. Harga Konsumen = Rp. 161.500,-. Olive is a small tree perennial plants and evergreen. The immature fruit can be eaten raw or after preserved can be used as a refresher. The old one will squeeze and the oil extracted be olive oil which can be used for a variety of purpose. Olive oil is not oil carelessly, from Allah SWT and His Prophet SAW has been mentioned many times the particulars of this olive oil. There is a special content in the oil. Behind those privileges of olive there must be a farmers who work hard to care and to maintenance the plant. It described they wore a simple outfit mix with the 80's style and post mo and thus inspired Rosie Rahmadi to present 12 outfits modest ready to wear with a feminine dress as a characteristic to emphasize a beauty displayed through simplicity concept, suitable for a feminine and elegant individual but not overdo. Through material used such as a cotton, a linen, a satin, a polyester, an organza, a brocade and a tulle. This collection going to use a colours that represent a series of rain events that loosen the soil then seed planting and finally become a verdant olive groves. Generally used an A-line silhouette with a style the 80's and post mo, equipped with a hat as a protection from the sun and a long hoods dangled describing the beauty of olive. In this collection the details used is a handmade in a form of olive fruit made from an organza material then pressed to form a circles, beside that there is also a mixed material to produce the particular texture into the overall picture of inspiration.